Updated Sunday February 10, 2019 by SPA. Spring 2019 Baseball registrations will for biddy and midget continue through February 15th. Registration for T-Ball, Grasshopper, Knee Hi and Majors continue through March 1. Evlauations for Biddy and Midget will take place in late February early March. Stay tuned for more details. 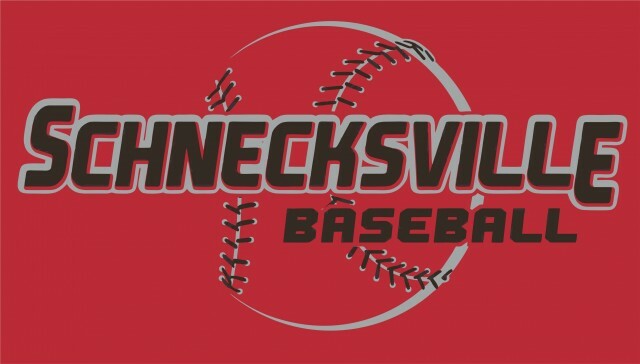 The Schnecksville Playground Association (SPA) offers the community an educational baseball program for youths looking to learn and play the game of baseball in a well-structured, safe environment. They will not only be taught the basic fundamentals, knowledge and skills of baseball, they will also learn the importance of appropriate interaction, socialization and being part of a team. SPA offers a variety of baseball programs for all ages and skill levels that begin with T-ball at age 4 and goes all the way up to the Majors level at age 18. During the Spring we offer both Recreational leagues and Travel leagues. Travel leagues are available for players at certain age groups looking to compete at a higher level. In addition to our Spring program we also offer baseball in the Fall for those who wish to continue their development all season long. In the Winter, SPA organizes pre-season baseball workouts at a local indoor facility to help players get ready for the upcoming season. Starting in spring 2019, there will no longer be a separate registration for the Travel program at the Biddy (ages 9-10) and Midget levels (11-12). Everyone registering for biddy and midget will have the opportunity to take part in evaluations for the travel league and advanced recreational league. It is not mandatory for all who register to attend evaluations, however, anyone interested in trying out for a travel team or playing on an advanced recreational league team MUST attend evaluations. Those who do not participate in the evaluation process will automatically be placed on a developmental level recreational team. Players participating in evaluations will be placed on either a travel team, advanced recreational team or a developmental recreational team. T-ball will remain an in-house only program. Most Grasshopper teams will continue to play in the South Parkland League. One Grasshopper team, comprised of more advanced/older players will participate in the PYL (Parkland League) program. The Knee-Hi and Majors levels will continue to play in either the PYL (Parkland League) or the CWL (Central Whitehall League) recreational levels. See below for all information related to ages and leagues for Baseball in SPA. In-House programs is offered for the T-ball level. We believe at this age kids should focus more on having fun and learning the fundamentals and basic skills of baseball. We feel the best way to accomplish this is to spend more time on the practice field with a minimal need for actual game experience. Games will still be played, but against other teams within our organization or a few other local organizations. These games are strictly non-competitive and are meant to be fun. This also means less travel for parents. Rosters are randomly determined. At the Grasshopper level, SPA offers two unique programs. The more advanced players will be placed on a team entering the PYL (Parkland League). Players moving up from T-Ball, or players not yet ready for Parkland League play, will play in the South Parkland League. This league offers players a chance to continue to develop basic fundamental skills. Our Recreational Program offers organized baseball to youths between the ages of 9-18 and consists of our Biddy, Midget, Knee-Hi and Majors programs. Teams compete in a local league against neighboring organizations. Biddy, Midget and Knee-Hi recreational programs are offered at two levels. A more advanced recreational division designed for players who may not be ready for a travel league but are looking to advance their baseball skills, and a developmental program designed for beginners at a level that is non-competitive, to allow players to work on basic fundamentals of baseball and improve their game. Players are placed on these distinct recreational teams based on evaluations held prior to the beginning of each spring season. Evaluations are not mandatory, but those who do not attend evaluations will automatically be placed on a developmental recreational team. This only pertains to the Biddy and Midget level. At Knee-Hi advanced and developmental teams are determined by the Baseball Coordinator in conjunction with the coaches. In some cases a separate evaluation may take place at the Knee-Hi level if it is determined to be necessary by the Baseball Coordinator. Major teams are placed within one division in one league. The purpose of both Recreational Program is to provide a fun and relaxing environment for all kids who are interested in playing the sport of baseball. Here an emphasis is placed on continuing to develop the fundamentals along with providing a safe, structured environment that allows for learning proper conduct and sportsmanship. SPA offers Travel league baseball at the Biddy and Midget level for boys 9-12 years of age. Travel baseball teams are for the more serious player looking to compete at a higher level. SPA now offers evaluations for all biddy and midget players within the organization. Travel teams will be selected prior to any other levels. More information on Tryouts will follow at a later date.